Well done to our UCG Student Senate, who have handed over a festive food donation to two local organisations. 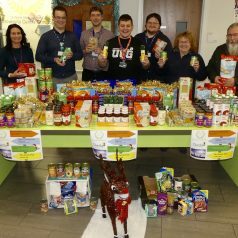 Representing the Senate, Ashley Corrigan presented We Are One Foundation and Grimsby and Cleethorpes Area Doorstep with the generous haul, donated by staff and students at the Grimsby Institute and University Centre Grimsby. We Are One, operated by Dave and Jean Wells, serves up to 200 meals each week for vulnerable adults at St Andrew’s Church in Grimsby. “We’re there every Saturday from 5, for anyone who feels they need it,” said the couple, who are also starting a new meal service for families on Fridays. Doorstep property services manager Sarah Wydell added: “We’re very grateful to Ashley and the Institute for collecting this food. 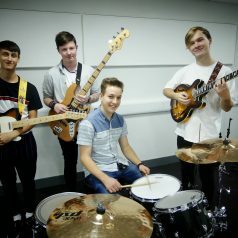 Four Music learners are hitting all the right notes as their band goes from strength to strength – and they credit the course with “changing their lives”. Well done to the staff, students and support who represented us at WorldSkillsUK. You have done us proud! 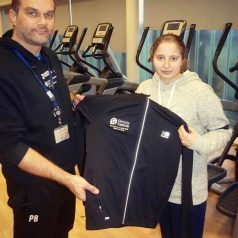 We were delighted to present former Sport learner Alysia Goodwin with a new set of branded kit as she prepares to represent us at WorldSkills UK this week. Congratulations to Chief Executive Gill Alton, who enjoyed a “wonderful, wonderful day” as she visited Buckingham Palace to receive her OBE. 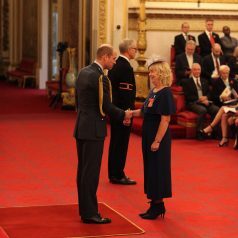 Gill was awarded the honour for services to education by HRH Prince William, Duke of Cambridge, at the royal investiture this week, which took place five months after the news of her OBE was first announced. “I was completely overwhelmed when I found out I had been nominated,” she said. “I come from a humble upbringing and the thought of getting the opportunity to go to Buckingham Palace and meet a member of the Royal Family had never really been on my radar. Speaking about the investiture, she added: “It was so exciting to go to the Palace. My family came along with me; we stayed over in London the night before and there was a lovely atmosphere of celebration. I met some amazing people who were also receiving awards; there was a real mix of people. First instituted by King George V in 1917 the OBE is awarded to individuals who have made major contributions at a local level, or whose work has gained a national profile. Gill’s award was made in recognition of her unwavering commitment to further education and for her achievements in ensuring further and higher education in Grimsby, Scarborough and Rotherham played a major part in the development of hundreds of young people and adults. It also recognises the focus that Gill has had on engaging the business community to support further and higher education. 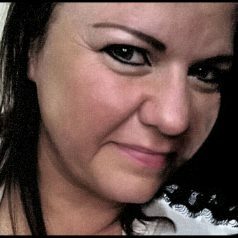 Gill joined the Grimsby Institute in March 2016 as Chief Executive and set an agenda that saw the Group achieve superb results for its learners. 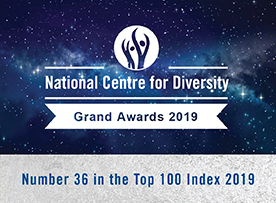 This has also been recognised with an Ofsted Outstanding rating, three AoC Beacon Awards, a TEF Silver award in higher education and numerous developments across the Group including Scarborough TEC’s new campus, which provides outstanding further education facilities in the North Yorkshire town. With a career spanning more than 30 years, Gill started as a Lecturer in 1984 before working up to Curriculum Manager in 1990 and Vice Principal of Curriculum and Quality in 1996. In 2010, Gill took up post as Principal and Chief Executive at Rotherham College, where she oversaw the development of the College to achieve its best Ofsted rating and become a significant stakeholder in the development of the Rotherham community. With a wealth of experience at a senior level in further education and a strong strategic leadership capacity, Gill has been selected by the Further Education Commissioner for two influential groups; the Principals Reference Group and the National Leaders for Further Education. In both cases Gill is one of seven senior leaders who were selected to support the sector. Gill supports the wider education sector as a Trustee of Tollbar Multi Academy Trust, a Director of Open College Network in the Yorkshire and Humber region and as Vice Chair of the Mixed Economy Group, which is the leading support group for higher education professionals in a further education setting. The regional business economy also benefits from Gill’s sector expertise as she is a member of the Humber LEP Business Development Board. 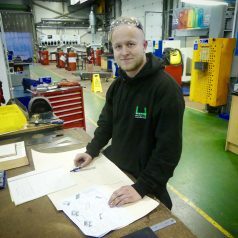 We’re wishing our former Sheet Metalwork apprentice Sam Smith the best of luck as he prepares to represent the Grimsby Institute at WorldSkills UK. 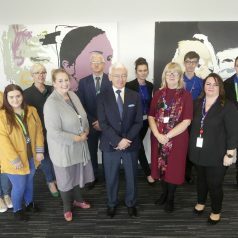 We are delighted to welcome the support of Cleethorpes MP Martin Vickers and North East Lincolnshire Council (NELC) in the fight for fairer funding for further education. Mr Vickers joined Cllr Kathryn Wheatley, Portfolio Holder for Children and Young People at NELC, at the Institute to meet with Chief Executive Gill Alton ahead of Colleges Week this week. They also met with members of our senior team in support of the campaign, as well as young learners from courses including Uniformed Public Services and Childcare. Part of the ‘Love Our Colleges’ campaign, Colleges Week is running from Monday, October 15 to Friday, October 19, and will see organisations up and down the country showcasing the work they do. There will also be a national lobby of Parliament on October 17, as colleges call on government to increase 16-19 funding by 5% per year for five years. This is due to a reduction in education funding once a student turns 16, whether they are at a school sixth form or college. 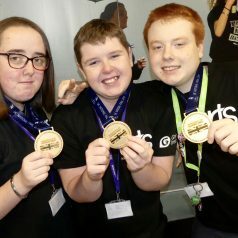 The campaign, which is a partnership between organisations including Association of Colleges (AoC), National Union of Students (NUS), Association of College and School Leaders (ASCL), Unison, GMB and TUC, is also asking the Department for Education to provide exceptional funding, ring-fenced for teacher pay. “In the last 10 years, college funding has been cut by around 30%,” said Institute CEO Gill. “This has led to a drastic reduction in the number of learning opportunities for adults and highly qualified college teachers earn £7,000 less on average than school teachers. Backing the campaign, Mr Vickers said: “Various governments have had to make numerous difficult decisions over the last eight years, and I do recognise the focus has not always been on further education colleges. “Governments always have to prioritise, which has resulted in colleges falling behind in the last few years, however I will absolutely do my bit to support the campaign. Also adding her support, Cllr Wheatley said: “I’m very happy to be here today supporting the campaign for fairer funding for further education. David Hughes, Chief Executive of Association of Colleges, said colleges are crucial in driving social mobility and providing the skills to boost local and regional economies. “Every single day colleges like the Grimsby Institute provide a world class education and transform the lives of millions of people. We are delighted to announce that Emma Forrest-Leigh, Associate Principal for Digital and Creative Industries, has been selected to sit on a national panel helping to shape the new T Levels. 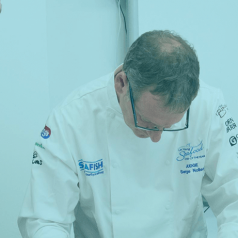 The UK Young Seafood Chef of the Year is an annual competition run by the Grimsby Institute, and sponsored by Seafish, which aims to find the best young seafood chefs from across the UK. 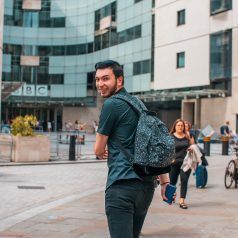 Media learner James Hancock has beaten off competition from more than 7,000 applicants to score a dream apprenticeship at the BBC in London.